It is now 70 days left before the start of the fourth edition of the team race that covers some of the most emblematic sections of the GR-223 that sorrounds the island of Menorca. 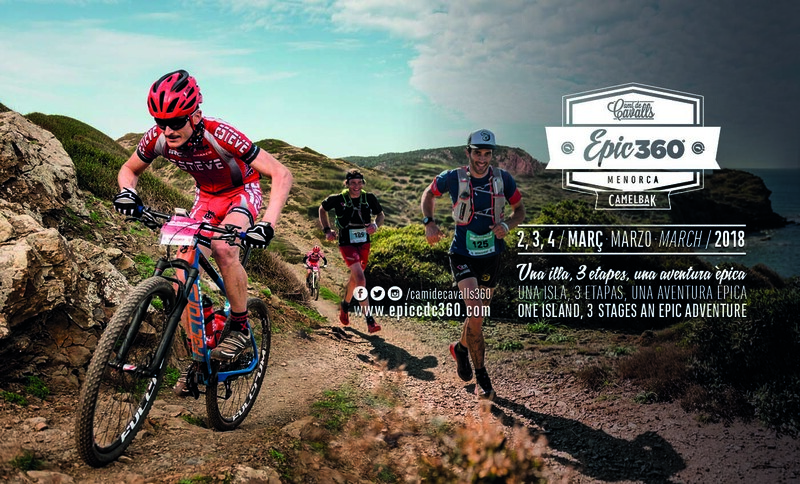 A race which in 2018 will be officially named as CamelBak Epic Camí de Cavalls 360º thanks to the leader in designing and developing innovative hydration solutions. CamelBak sponsorship means a much valuable push to us. After three successful editions, we consider the race to be well established, and with CamelBaK important support it will allow us to make a step forward and improve and grow in terms of quality without ever losing sight of the spirit and race unique own nature. This will be the main news the race will present ahead of the year is about to begin. On the other hand, the dates for March 2018 (2nd, 3rd and 4th) become established and the dual format that the race is characterized by is maintained, all defined with the motto “one island, three stages, an epic adventure”. Thus, values such as comradeship and respect for the environment will continue and prevail as the major leit motifs for the organization. Current sponsors as Tugawear, Julbo, OK Rent a Car, Artiem or Karetta Expeditions will again provide their support to the race. There will be some new ones and will be announced soon. The limited entry list is being filled at a good pace since registration for 2018 started last August. In fact, the participants already registered outnumber last edition ones around these same dates. The participants who wish to enter the race must register in teams of two and may choose from the TrailRun, MountainBike and Experience (shorter route) categories. As always, the path length of the CamelBak Epic Camí de Cavalls 360º 2018 is divided in three stages in three consecutive days. At the end of each stage the race family will gather for dinner and next day briefing whilst sharing anecdotes and good mood. Each stage consists of three routes with slight differences, specifically designed to each of the three available categories: TrailRun, MountainBike and Experience.